Not long ago I read a story about two funeral workers who wanted to make some quick cash and thought insurance fraud was the way to do it. They invented a relative, created all the identity documentation, bought an insurance policy, and staged a funeral for her. The two collected on a $950,000 life insurance policy for their efforts before getting caught. It’s an extreme case of life insurance fraud, but smaller, less complicated life insurance scams cost the industry an estimated $11 billion a year. But one of the biggest drivers of that cost isn’t fake deaths or complicated schemes. It’s simply misrepresentation on the application. In an effort to speed up the sales process for life insurance policies, many agents are having their clients complete health questionnaire interviews rather than having them take a more objective medical exam. The problem is, it’s pretty easy to lie about your medical history. After all, if someone wants to keep you from finding out about a pre-existing medical condition or bad health decision, they can simply choose not to tell you about it. One means of preventing this type of deception is to use Remote Risk Assessment (RRA) technology to assess for risk and, when high risks are found, use that as a basis to ask for a deeper health assessment. 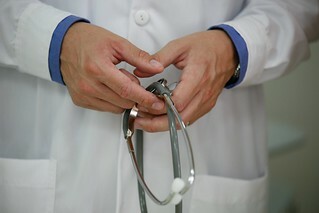 Insurers are pulling away from having applicants do insurance physicals except in the case of very high-value policies, as it’s not cost effective and might even act as a deterrent to buying a policy. Instead, these companies often use personal health interviews. During these interviews, an individual is asked about any health issues and is required to give information regarding prior treating physicians. In these interviews, the interviewer is entirely dependent on the client providing honest answers. But if they’re not honest about who they have been treated by, or their own personal history, it can be pretty difficult to prove. HIPAA makes it impossible to do a sweep of information to get prior health records that the applicant may not have disclosed. But when an applicant gives permission to get medical records, they’re giving permission to get those records from a specific medical provider only. That means they might not disclose medical providers who would reveal information that might raise their rates. Consider the case of smoking. Four in ten smokers lie on their applications for life insurance and wind up paying preferred non-smoker rates. Insurance companies might catch this during a urine screening—if they actually do one—but even then, there are ways to manipulate the system. Abstaining from smoking for a few days or even using someone else’s urine are common ways to hide a smoking history. When that smoker’s life is significantly shortened due to smoking, which happens in about half of smoker cases, the insurance company must pay out the agreed upon amount, even though that insured lied to get a better rate. Ultimately, it winds up raising rates for everyone. Denying a claim after the fact is almost impossible. If a company fails to complete a thorough investigation prior to issuing a policy, they can’t later deny a life insurance claim because that insured misrepresented themselves on the application. The insurance company only has thirty days to pay or deny a claim, meaning that they often won’t have enough valid evidence of misrepresentation to prove their case. That’s why, if insurance companies want to identify potential premium fraud, they need to do it before the policy is issued. But most companies don’t want to delay issuing valid policies either; that’s why many forego doing a physical in the first place. This is where RRA can be implemented. Insurance companies can utilize RRA to validate information given during the crucial health interview. RRA uses proprietary signals analysis technology to assess the level of risk in a “yes” or “no” answer. An RRA health-screening interview would grade the applicant on a sliding scale from low to high risk. Using this after the completion of a personal health interview can help flag high-risk applicants. It works relatively simply. First, the individual completes the traditional health interview over the phone with the examiner. Then, when the interview is completed, that individual can be forwarded to an automated call center where they will be asked specific relevant questions, such as, “Are you a regular smoker?” or, “Did you omit anything about your health history to get a lower rate?” The person investigating the application will have access to the results and can expedite the process for low-risk applicants while highlighting those where there might be need for further examination because of a higher risk rating. AC Global Risk offers RRA as a tool to support those in the life insurance industry, and this can be rolled out on a scalable basis, meaning that multiple applicants can be assessed at once. This adds virtually no time to the policy approval process and can be implemented as part of the personal health questionnaire. Finally, it serves an indirect benefit by reducing denied claims, because applications are vetted more thoroughly on the front end. For more information on adding this technology to your evaluation process, contact us today.